“Discussion is just as important as the film,” says Janice Morris, KDocs founder and festival director. She explains that rectifying the “dumbing-down of society through the power of images, moving images, and discussion with people you might not meet in your everyday life” is a fundamental part of the festival’s mandate. Morris is convinced that public forums like KDocs offer attendees the opportunity to combat delusional thinking and anti-intellectualism through storytelling, dialogue, and global citizenship. To Marrois, documentary films are a way for important issues to cut through the “massive inundation of information” that we go through in our daily lives. They convey complex ideas that newsfeeds and 24-hour news channels can not, and are even capable of showing us how some of the issues we face are interrelated to one another. “Talking about the Syrian refugee crisis can be relevant to talking about the exploitation of migrant labour, or the environment, or a young Afghan rapper,” says Morris. 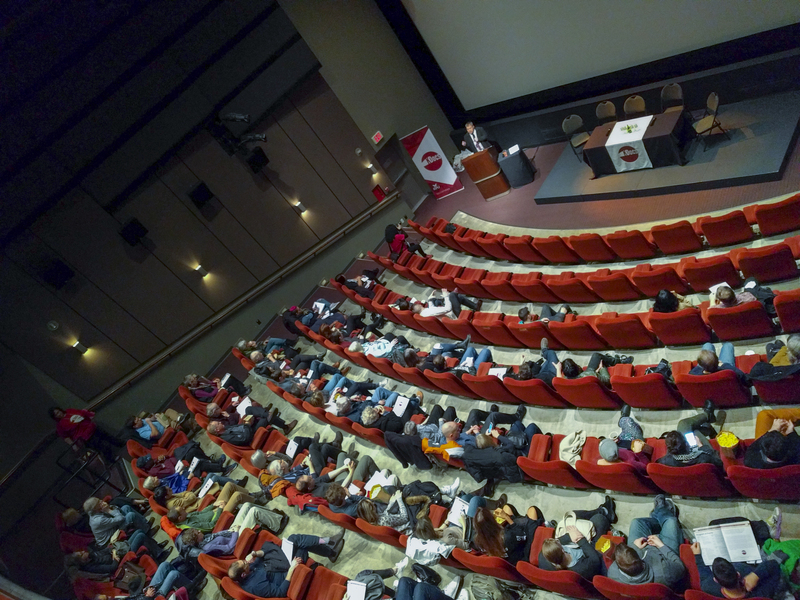 Associate Dean of Arts and KPU Criminology Professor Wade Deisman believes that events like KDocs are integral to any good university, as they help foster civic engagement, not only in students, but also in community members who otherwise might not be brought into conversations surrounding important topics. Deisman specifically cites the film Do Not Resist, which offers a glimpse into the current state of policing in America, by noting that argues that Canada may not be as far from the surveillance state of the U.S. as audiences might think. Cicely-Belle Blain, one of the co-founders of Black Lives Matter Vancouver, attended the afternoon screening of Do Not Resist, and was a panelist for the discussion period that followed. They admired portions of the film for its realism, and expressed the importance of remembering Canada’s history of racism and its problem with corrupt policing. Speaking of the event, Blain was appreciative of the forum KDocs provides to activists such as themselves. “[KDocs] is great. It is important for people like myself to come and provide that element,” they say.